Update Alert! 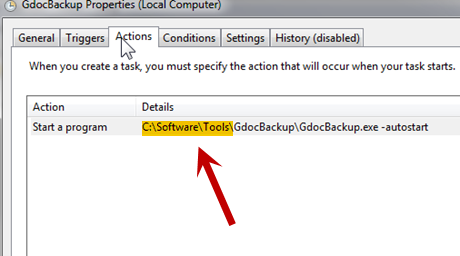 GDocBackup has just been abandoned. No more development will be done and there will be no support. Perhaps someone will let me know of a better alternative, but this is still the best option I know of. I'll report next month if I find a better alternative. Odd things happen sometimes to people with Google Drive. People get accused of sharing copyrighted material or some such, and get kicked off, including being denied access to their files. It can take months for a person to get this cleared up. Sometimes someone you are sharing with deletes their copy of the files, and then the deletion is synched to your computer. Now the file is lost. Sometimes you just make a mistake and delete a file. There is a trash folder, but sometimes it gets emptied. Furthermore, even when you think you have a file, you may not! I thought I was backing up my Google drive with my normal backup program, which listed the files, but the Google Docs, Sheets and Presentations do not get backed up. Here is what a 4 page Google Document looks like that appears to be in my Google Drive on my computer. As you can see, it is just a link to the file in the cloud, not a copy on my computer. If I need it, I haven't got it except in the cloud. Furthermore, Google's Docs, Sheets and Presentations have their own unique cloud format which is unreadable outside of Google. So, you should backup your Google drive locally. This means you need to convert your Google documents into a standard format and then save the converted files to your local hard drive. Here's how to do it. Google lets you download a file. It chooses the format to for conversion. They also allow you to highlight a group of files and download all of them. Google will zip them after converting the files to MS Office format. Both of these methods are too cumbersome, limited and error prone. We need an option that is automatic and downloads all your files, not just those you remember to save. Then it should update the backup with any changes or additions. What I wanted was an automatic backup, occurring every night, and updating the backup with new files or changes, and I wanted to control the conversion process so I could choose the file formats. I use the open source project GDocBackup . 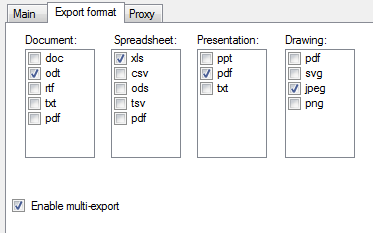 It offers a simple configuration menu to choose your export file formats. It is important to mention, this is the only program I found that works with free accounts, so even with some problems, it is the best. It doesn't offer a built in scheduler, but it is easy to use the Windows task manager schedule it. I had trouble converting my spreadsheets to ODS (Open Document Spreadsheet), or to CSV, so I was forced to use .xls which actually converts to .xlsx. Again, it is Google which is handling the conversions. It seems to handle ODT (Open Document format) well, and my presentations converted to PDF almost perfectly. The only problem was that it dropped the f from .pdf so if you want to read a file, you'll need to rename by adding the F back in. I assume it will convert everything to Microsoft formats well for those of you who use Microsoft Office. Action is the full program path and name including the command -autostart. If this is difficult for you, I can set the schedule up for you in just a few minutes. There are a number of options that look more polished, but will only work with business accounts (called Google Apps for Work). These accounts begin at $50/year for 1 personalized email account. Syscloud : Free for under 5gb. over $30/yr. Sold from Google Apps Marketplace. Free Trial. Backupify: cloud to cloud or cloud to local: $36/yr per user. Does email too. - Free trial account. Needs Google apps for work. Spanning Backup - Auto daily or manual. Backup to cloud. Export to local. Seems detailed with version history function. Seems to have excellent administrative panels so an administrator can check all employee backups. 14 day free trial. $40/user year.